We see a lot of families who have a range of behaviour issues that we can help you with. Often these symptoms are associated with other illnesses, and sometimes with food intolerances. 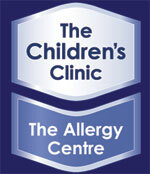 We can help you work this out at The Childrens Clinic | Allergy Centre, Christchurch.